A vivid look back at an ever evolving yet constant art form which has impacted the culture and policies of countries around the globe. How many times have you heard that ballet is the foundation of all dance? Yes, modern, jazz, lyrical and contemporary dance are all rooted in ballet, but what about ballet’s roots. Where did it originate? Who were its patriarchs? And like any art form, how has ballet evolved throughout the centuries? 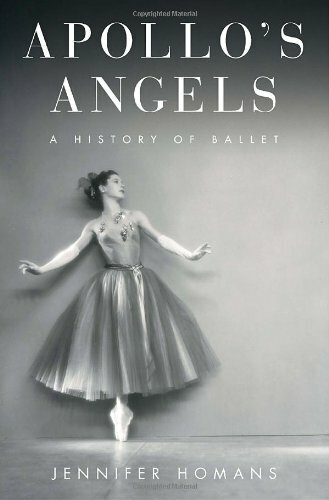 Jennifer Homans answers these questions and much more in her highly anticipated book “Apollo’s Angels A History of Ballet.” Well-researched and written with clear intent and vivid descriptions, including dances such as La Sylphide, Giselle and The Sleeping Beauty, this book is a page turner for any avid dancer or dance lover. Homans takes us on an eye-opening journey through time from King Louis the XIV’s court and the French Revolution to Peter the Great and Stalin’s Soviet Ballet to the British dance movement and the dance explosion here in America in the 1960s. Through all these economic and political changes ballet has not only survived but in many cases has thrived thanks to ballet pioneers and enthusiasts such as Jean-Georges Noverre, Marie Taglioni, Sergei Diaghilev, Vaslav Nijinsky, Frederick Ashton and George Balanchine and many more. I can’t thank them enough for dedicating their lives and risking everything to preserve the art form. Unfortunately this isn’t the case today. Homans book ends on a kind of depressing note. As she bluntly puts it all the masters of ballet are dead and gone. This leaves the new generation of choreographers and ballet dancers without a guiding light to follow. Because of this Homans says she believes the art form is dying out. I don’t believe this. Or maybe I don’t want to believe this. Ballet has survived far worse throughout its history and I believe the next great Balanchine is out there somewhere. We just have to wait. Until then, please continue to support the art form by going to performances and making donations. We can’t do anything about ballet’s past but we certainly can play a role in its future. You can also see this review at Theater Jones. Over Christmas break I continued to expand my dance history knowledge with Paul Taylor’s autobiography “Private Domain.” This is one of the few dance autobiographies that I was able to read cover to cover. A lot of the dance autobiographies I have read focus more on what dance they did and when and can be quite monotonous to get through. Not Paul Taylor’s. He proves that dancers are not only creative movers but also thinkers and writers. I personally get a kick out of reading about his first encounters with some of the greatest choreographers of all time, including Doris Humphrey, Martha Graham, Merce Cunningham and Twyla Tharp. For a someone who is not a trained writer, Taylor seems to have mastered the art of descriptive writing with very little aid. The way I feel when I read his writing is very similar to the way I feel when I see his company perform: in tune and in awe. But having the prestige his company has today didn’t happen without some sacrifice. Taylor’s book also takes us into the not-so-sunny-side of being a dancer, including little pay, hunger, homelessness, injury, depression and addiction. Taylor has fought many battles throughout his performance career, including sprained ankles, stomach ulcers, a deadly form of hepatitis and an addiction to pain meds. The last two chapters of his book describes his last dance performance in Brooklyn where he was so sick and worn out that he collapses on stage. The second to last chapter is very dark and ominous as Taylor walks us through everything that happened that evening leading up to his collapse. He didn’t know it at the time, but this would be his final performance. Thankfully, the book doesn’t end here. He ends it on a positive note, talking about his transition from performer to choreographer as he begins teaching movement from a chair which will evolve into one of his most well-known pieces Esplanade. You can learn more about the Paul Taylor Dance Company and view its touring schedule online at www.ptdc.org. 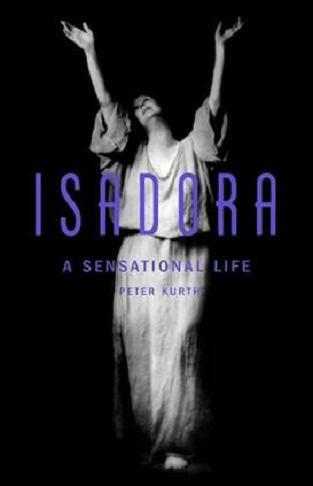 Just finished reading Peter Kurth’s biography on Isadora Duncan and I can’t believe I have gotten this far in my dance career without it. Like most dancers I have studied Duncan technique, which involves nature movements such as walking, swaying and running, but I have never known the woman underneath the shear tunic. Kurth shows readers that there is more to Isadora Duncan’s legacy than just dance. Yes, she was a pioneer of modern dance, but she was also a mother, daughter, sister, lover, teacher, head of household, writer, revolutionary and, many people believe, the first feminist. Exhaustively researched, this book follows Duncan from her birth in San Francesco in 1877 to her tragic death in 1927 and all the trials and joys she encountered along the way. What makes this book different from other Duncan biographies and even her autobiography is that it isn’t entirely about her. He includes stories and interviews from those closest to Duncan (Augustin Duncan, brother) (Mary Desti, friend) as well as writers, poets, artists, critics and theater enthusiasts who have had the honor of meeting her or seeing her perform. A recurring theme in the book is that everyone says Duncan changed their lives in some way with her dancing. And I am sure she would be pleased, but not surprised, to know that her dancing continues to change lives. Thank you Peter Kurth for allowing me to know the woman and the dancer.